BCU Canoe Lifeguards SESA Course. The Swim Event Safety Award, was launched by the BCU Lifeguards in May 2011. 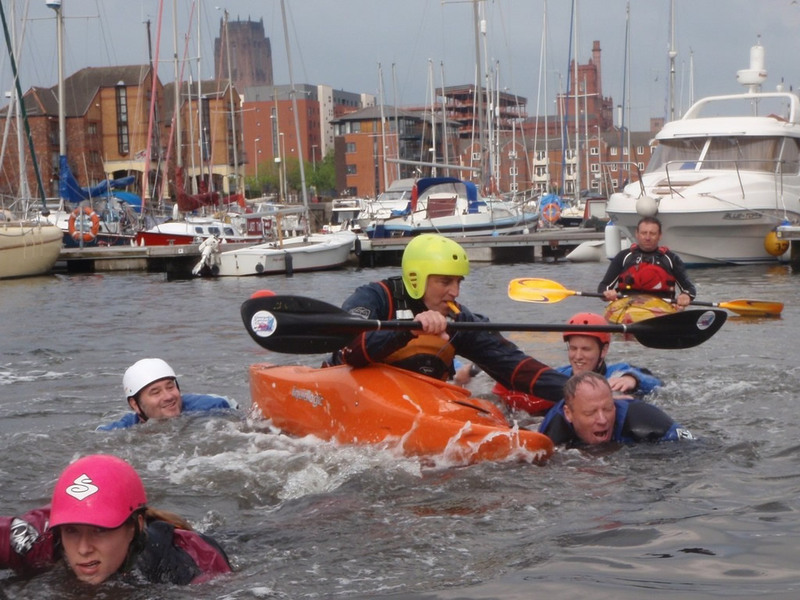 The award is designed to provide paddler’s with the skills and knowledge required to be a pro-active part of any event water safety team, and aims to give candidates a real feeling of what it's like to be an open water swimmer. 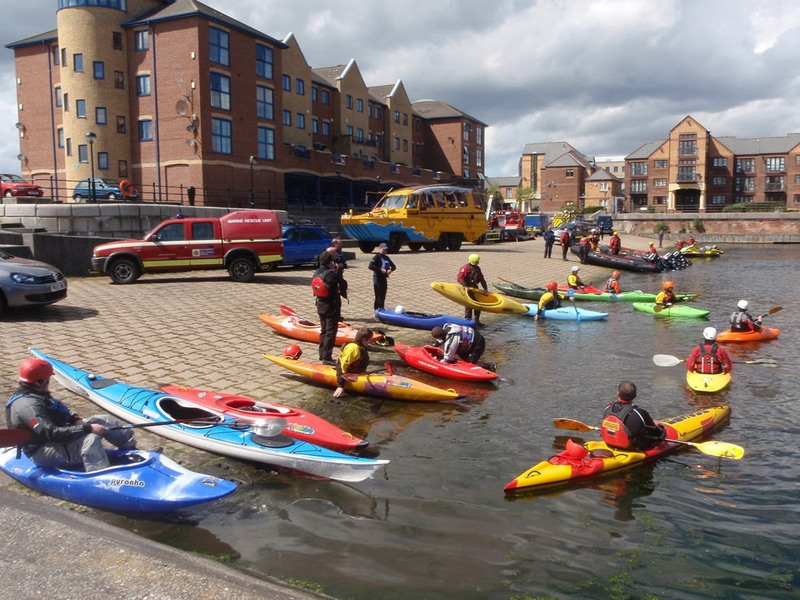 The award can be completed by any paddler aged 14 and above and in any craft, providing the candidate can demonstrate good control of the boat. The only other pre-requisite is a minimum 4hr First Aid award. You can use club boats or bring your own. They should have sufficient volume to support a large swimmer. We do use a helmet when training in the water (These can also be borrowed if needed). You will also need a wetsuit or dry suit as you will be acting as a swimmer in the water for much of the time.